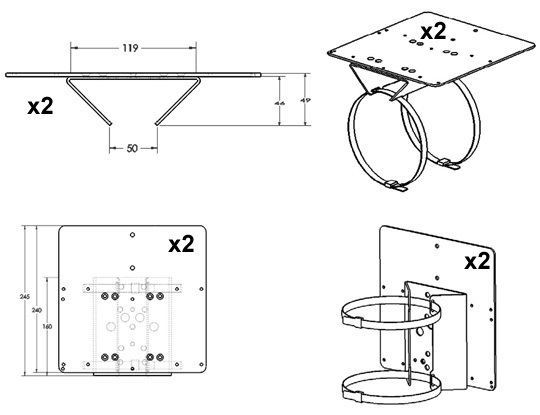 Pole Bracket Clamp to Mount 2 x Illuminators + 2 x PSUs for RM / RL 25, 50, 100 and 200 series OR 1 x Illuminator + 1 x PSU for RM / RL 150 or 300 series. 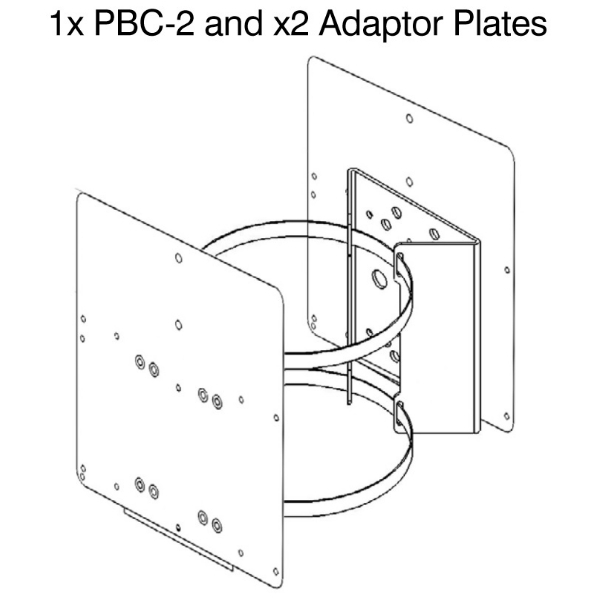 Composed of 1 x PBC-2 + 2 x AdaptorPlates. 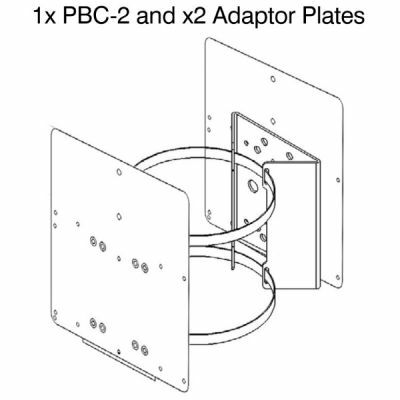 Better look at PBC-2-PSU-1 for 150 and 300 series.